A simple extension to the rear uses brick and aluminium clad windows and doors. These materials are no maintenance and help brighten the north facing facade. The entry hall was expanded to create a better entry into the family area and a shower in under the stairs. Using some of the space in the partition walls creates alcove shelving through out and tucked away the radiators behind doors. A low wall at the edge of the patio closes off the busy garden, reflects southerly light back into the house and provides a seating area for the family. 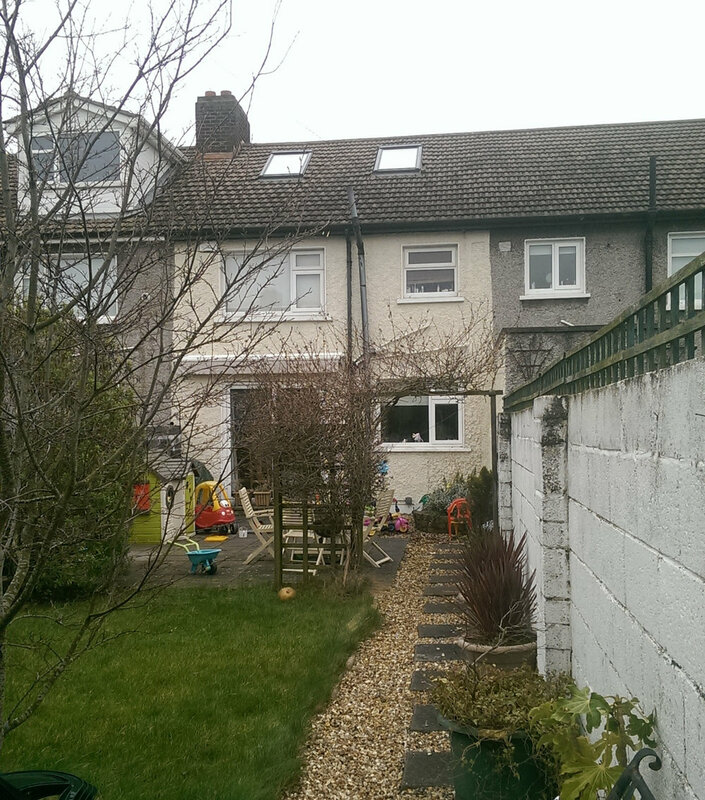 "Carol designed an extension to our mid terrace home. She managed to make clever use of the space to provide us with a bright and welcoming living area comprising of kitchen, dining and relaxing space all in one. She managed to squeeze in a shower to the downstairs toilet and made a very practical utility space too. Carol is professional in her approach and provided a number of ideas for us to consider before finalising the plans. She listened carefully to our wish list and delivered on all of them. Carol oversaw the build too and this helped us make decisions that benefited from her expertise such as where to hang light fittings! It was also a comfort to know that the build was on track and that she was happy with the quality of the work."